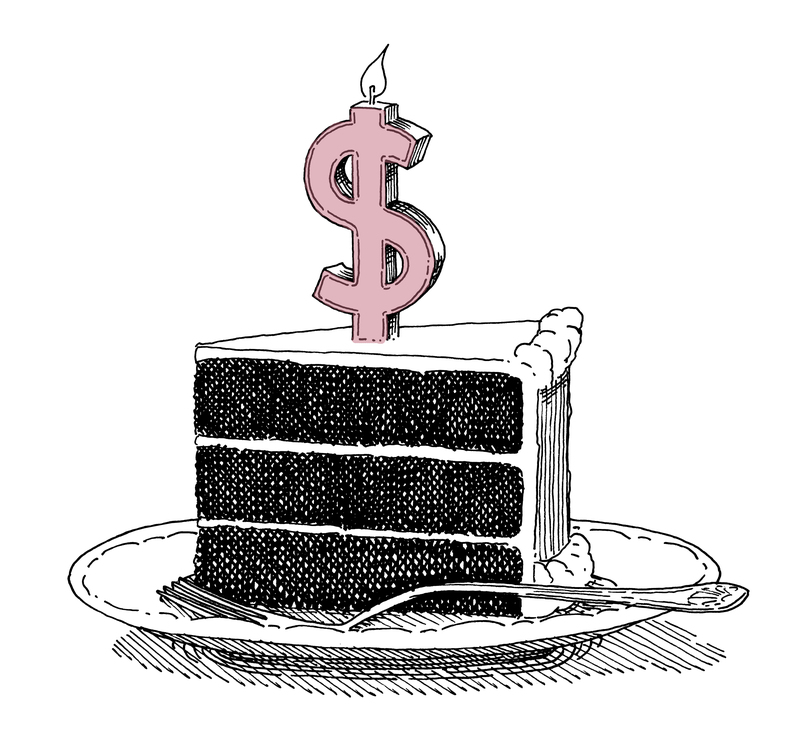 How is a considerable amount of money like a birthday cake? You can close your eyes, blow out the candles and wish your dreams come true. Or you can slice it up so there’s plenty to go around… and even keep some extra— just in case. We have all heard the ancient proverb, “You can’t have your cake and eat it, too.” While there’s usually a lot of truth in nuggets of wisdom such as this, we at McRae Capital Management take exception to this one. Fact is, you can have your cake and eat it, too. 1. You have a substantial asset. 2. You may not get another in your lifetime. 3. Now you have to live on it. So, what should you do and how should you do it? You want to live comfortably and enjoy life, but you don’t want your money to run out. You want to sleep at night, so you don’t want to take inappropriate risks. You may want to help others – children or grandchildren, perhaps a favorite charity or leave a legacy once you are gone. The greatest risk for individuals and families living on an asset is drawing the principal down too quickly and exhausting it – a euphemism for “running out of money.” The only sound way to manage one’s nest egg through time is to be disciplined about withdrawals. Obviously, the more money one takes out of a portfolio, the greater the risk of spending it all down. So how much can you take? As a general rule, annual withdrawals in the range of 3 to 4 percent of principal can be supported over time in a balanced account made up of stocks and bonds. Our experience over the last 40-plus years has shown that these rates of withdrawals provide the best balance of current income and capital preservation, and can even grow modestly from year to year to cover reasonable increases in inflation. Beware of excessive rates of withdrawal – for example 7 to 10 percent – or occasional raids on the cookie jar when you want extra income. On many occasions in Commentary, we have extolled the power of compounding. Well, it works the other way, too. Excessive withdrawals – what we call “reverse compounding” – will severely undermine the ability of your principal to generate income. How often you take your withdrawals can have an impact as well. If you take your withdrawals only once a year, you need to ensure that the money will last an entire 12 months. Our experience has been that our clients prosper when taking a smaller amount out on a monthly basis. This way, the withdrawals more closely match monthly expenses and it is easier to stay on budget. It’s easy for our clients, too, as we set up an automatic monthly transfer of funds from their McRae account to their checking account. If one must be disciplined about withdrawals, one must be doubly diligent about budgeting. Once the annual withdrawal that can be generated by your portfolio is determined, you should develop an annual budget that falls within the parameters of your account – and stick to it! Why not develop a budget first and then decide what percentage of your money you can spend every year? Because you run the risk of finding out you need to spend 10 percent of your assets annually to afford your lifestyle. If that’s the case, there is a very real risk of outliving your assets. You may need to sharpen your pencil and pare spending. It is the value of the account that dictates how much you can spend. Taxes are one of life’s necessary evils. When budgeting, it is crucial to allocate for taxes. Many McRae clients have both taxable and tax-sheltered accounts, such as IRAs, Roth IRAs, 401(k) plans or Keogh plans. It is important to understand the tax effects on these types of accounts. Tax-sheltered accounts have some benefits and some drawbacks. The main benefit is that all income and gains can grow tax free. This benefit allows these types of accounts to grow for a long time without paying any tax. The downside to these accounts is that once you begin taking income from them taxes need to be paid on every dollar you withdraw, and these withdrawals are taxed as earned income (not at lower rates, such as on capital gains or dividends). Therefore, we believe it makes sense to spend money out of your regular accounts first, and delay taking money out of the retirement accounts as long as possible. This allows the money in the retirement accounts to grow tax-free and delays the payment of income tax on the withdrawals. As you can see, the dollar value of retirement accounts does not reflect the after-tax dollars you can actually spend. It is important to calculate the amount of income tax that will be taken upon withdrawal from retirement accounts. 1. Identify the assets that produce income for you to live on. Illiquid assets, such as your home, definitely have value, but do not provide the ability to generate income to live on. 2. Prepare your annual budget. Include in this number any taxes you expect to pay and gifts you expect to make. Don’t forget to allocate money to what we call “Account X” – the unknown. We all know things pop up each year that are not expected. You can’t plan perfectly for these events, but realize that they will happen and leave some room in the budget to account for them. In addition to a budget, we believe individuals at any age should have a will. This will ensure that your money will go to your heirs as you desire. In addition, depending on circumstances, some individuals will benefit from more extensive financial planning, which we offer as a complimentary service to our clients. We at McRae Capital Management can help those living on their portfolios, and those who plan to live off their retirement savings in the future, in a great many ways. Our experience is, perhaps, our most important attribute. We can speak confidently about managing a portfolio for income because over the years we have done precisely that for a great many of our clients. Another significant factor is our personal approach to each of our clients. As we have said before, we genuinely care about our clients as people. Yes, there are numbers and facts and figures that enter into income planning, but we never ignore the fact that we are dealing with people and families (often, several generations). At McRae, there are no formulas or off-the shelf, prepackaged solutions. We treat all clients as though they were unique – because they are. At McRae, client portfolios are constructed one at a time in light of individual circumstances. We also monitor our clients’ situations and take the initiative to recommend changes in portfolio construction as conditions change through time. We also offer financial planning to make certain that each client’s overall financial situation is taken into account. In other words, we like to help people enjoy a nice slice of cake… and another one after that and another one after that. It’s amazing, but it works: As long as the slices aren’t too large or consumed too fast, that cake can last forever.